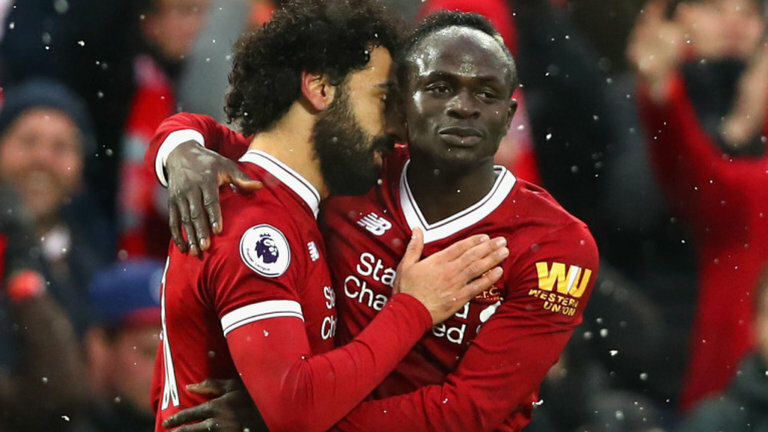 Mohamed Salah and Sadio Mane are the only African representatives on the shortlist for the best players in the world. The Liverpool duo has been named in the 55-man shortlist for 2018 Fifa FIFPro World11 following their stellar performances at Liverpool and for their respective countries. Salah is the first Egyptian player ever to be nominated for the award. He won the nomination after an amazing season with his club, Liverpool, having scored 44 goals, including 32 goals in the league to be the Premier League top goal scorer. He also led the Egyptian national team to the 2018 World Cup in Russia for the first time since 1990 in Italy but the shoulder injury he picked at the UEFA Champions League final affected his performance at the World tournament. Sadio Mane on his part enjoyed an impressive season for the Reds last time out and has continued in a similar vein of form this term, helping his side to an unbeaten start to the Premier League campaign. His national team was unlucky in Russia during the world cup, losing a knockout stage slot due to card accumulation. Mane appeared in all three games and scored once. Samuel Eto’o [2005 & 2006] and Didier Drogba  are the only Africans to have made the World XI. The winners of the prestigious men’s and women’s awards will be announced at a ceremony in Paris on Dec. 3.